When I look into your eyes I see the eyes of many faces. I hear the voice of many waters and feel the hearts of many souls. 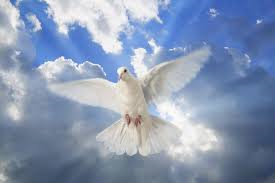 I hear the cooing of a dove, your unconditional love. When I look into your eyes I feel your need for my love. You devour my presence and inhale my every word. The others who I know not, but that I dream about. I can see through the window of my soul.